New update brings harder battles and new spells to the war against the Sorcerer King. 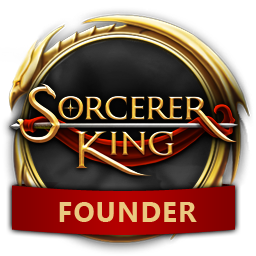 Plymouth, MI - September 17, 2015 - Today Stardock announced an update to its latest fantasy strategy title, Sorcerer King. Players can challenge the Sorcerer King with the game’s six unique sovereigns that have their own skill trees, spellbooks and units. In Update 1.2, new shard mechanics make it so that the players need to be aware of the Sorcerer King’s minions when they attack. Attacks on the shards will now result in the Doomsday counter increasing, which causes an automatic loss when it fills to maximum. The update also adds 8 new single-use enchantment spell pages to use throughout the game. The pages that the player obtains will vary depending on their choice of Sovereign and will contain different enchantments. Update 1.2 also includes several bug fixes and increased difficulty levels. Sorcerer King can be updated using the Steam client. For more information, please visit www.sorcererking.com.